After finding a gorgeous winter wedding dress, it's time to focus on a different type of dress shopping: choosing cold-weather gowns for your bridesmaids. Off-season weddings have their own set of rules, which apply to your bridesmaid dresses as well. Dessy Real Wedding | Color: Larkspur | Fabric: Rococo Lace | Photographer: Carly Fuller | Shared by Norah: "...everyone looked beautiful in their Dessy dresses, ties and pocket squares. 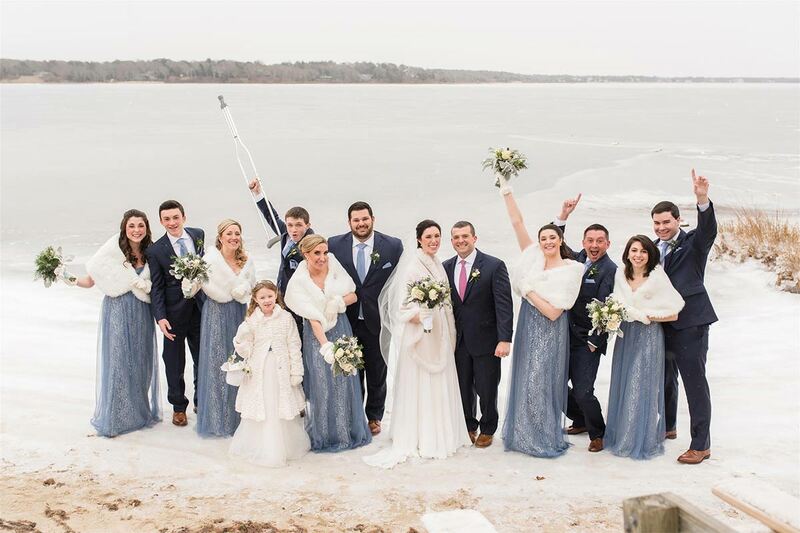 It was the perfect look for our winter wedding by the sea!" One of the easiest ways to do this is by choosing heavier fabrics, such as faille, silk or satin. These quintessential winter fabrics will add warmth to their dresses while emphasizing your cold-weather style. Before we get into winter bridesmaid dress colors, you first need to consider the time of day you’re getting married. Regardless of the season, most evening weddings require formal or semi-formal attire. If your winter wedding is in the evening, you can get away with bridesmaid dresses featuring dramatic embellishments and luxe fabrics. Don’t be afraid to have your girls try on luxe, velvet bridesmaid dresses or sequined evening gowns that provide a hint of glamour and drama. One of the best things about being a winter bride is the endless number of color options you can choose from. While most summer bridesmaids are limited to lighter colors, winter bridesmaid dresses can be bold and dark or light and whimsical. From light pink and grey to dark green and gold, there are so many ways to have fun with your bridesmaid colors. If you’re having trouble finding the right colors, check out our Wedding Inspiration Styleboard Gallery and browse all the chic winter wedding color palettes. 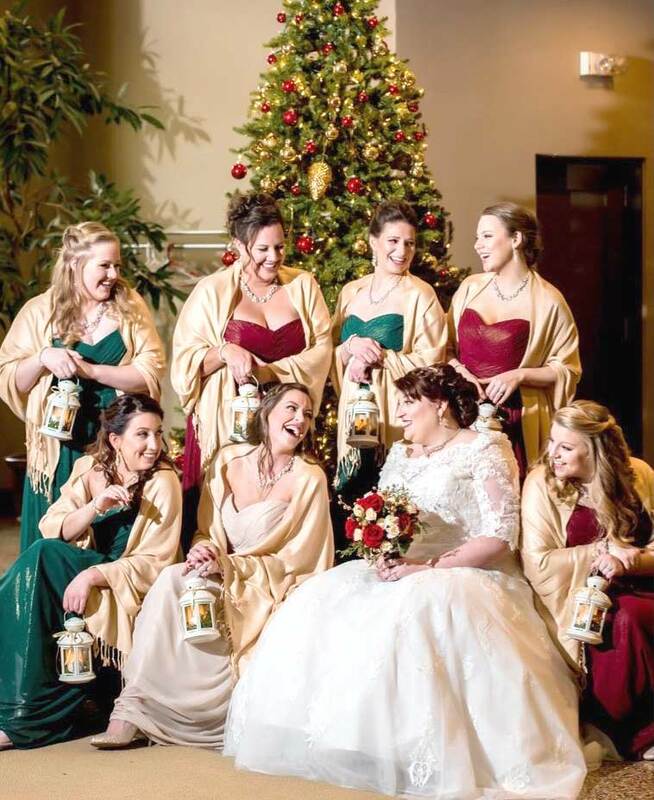 Dessy Real Wedding | Colors: Hunter Gold & Burgundy Gold | Fabric: Lux Shimmer | "The gold shimmer in these dresses gave my Christmas themed wedding the exact look I was going for!" Your winter wedding is all about you, but it’s still important to consider what your bridesmaids have to say while you shop for dresses. One thing you’ll want to keep in mind is that each member of your bridal party has a different sense of style. Although you can (and should) be the one to choose the color of their dresses, consider allowing your bridesmaids to choose the style. Allowing them to pick a dress style that flatters them will ensure they are comfortable during the ceremony. It will also prevent feelings of resentment towards you if someone were to hate the style you chose for them. There are ways you can keep your bridesmaids warm without making them look silly in giant winter coats. For example, a fur coverup is a great way to keep bridesmaids from freezing during your winter ceremony. Even if the wedding is indoors, your bridesmaids could benefit from wearing thick tights under their dresses. They can always take them off when things get hot on the dance floor. Also, don’t forget about their footwear. There is something playful and romantic about wearing trendy winter boots underneath a cold-weather gown! 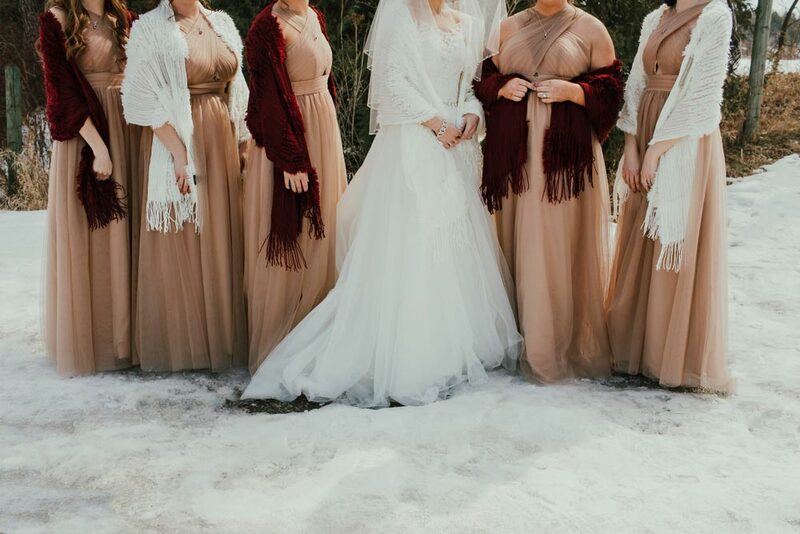 Bridesmaid coverups in the form of fur coats and elegant shawls are an easy way to add a hint of sophistication to your bridal party. For a gorgeous ensemble, choose bridesmaids’ coverups in a color or pattern that will pop against the color of their dresses. Some good options are a red tartan coverup against dark blue dresses or a dramatic black fur coverup against burgundy bridesmaid dresses. However, you can also choose to blend the color of the cover-up to your bridesmaid dresses for a sleek and streamlined look. Bad winter weather can mean delays. If you’re traveling somewhere to try on bridesmaid dresses with your bridal party, consider scheduling extra time to get there. Similarly, you may want to order your bridesmaid dresses sooner rather than later. Bad weather can result in delayed deliveries, which can result in panic if you’re already doing things at the last minute. If you’re ordering bridesmaid dresses from Dessy, we strongly recommend placing your order no later than two weeks before your event date. 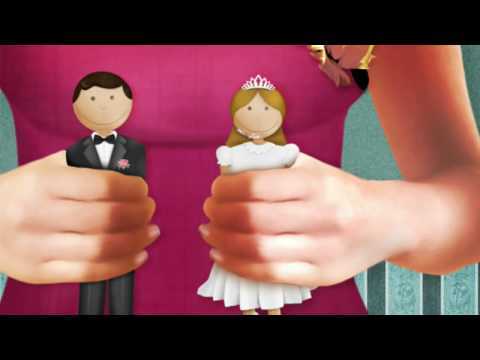 Factoring in delays and last-minute changes can lower everyone’s stress before your big day. Choosing bridesmaid dresses for your winter wedding doesn’t need to be stressful. With a few considerations and input from your bridal party, you can have a fun and memorable shopping experience that everyone will look back on with fond memories.